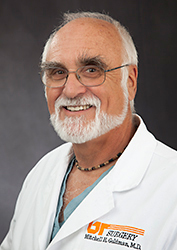 Dr. Kissane has a background in both medical simulation and surgery. She is an advanced laparoscopic and bariatric surgeon whose academic passion is medical simulation. She completed a Fellowship in medical simulation at the Brigham and Women's Hospital and a Masters in Education at Harvard University. She is an Assistant Professor of Surgery and Adjunct Faculty for Industrial and Systems Engineering at the University of Tennessee. She is the Assistant Director of UTCAMS. She is also a newly appointed site surveyor for the ACS-AEI. Dr. Hines' background is in general and vascular surgery. He has been Co-Director of the University of Tennessee Center for Advanced Medical Simulation for eight years. During this period of time he and Dr. Paul Huffstutter have overseen the initial accreditation of the Simulation Center by the American College of Surgeons/Accredited Educational Institutes, as well as the reaccreditation in 2015. Dr. Hines is an Assistant Professor of Surgery and adjunct faculty for the Department of Mechanical and Biomedical Engineering. He has served for the past six years as a surveyor for the ACS/AEI and currently serves on the Committee for Coaching of the ACS. Dr. Huffstutter's background is in general and vascular surgery. He has been Co-Director of the University of Tennessee Center for Advanced Medical Simulation for eight years. 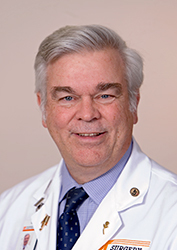 During this period of time he and Dr. Leonard Hines have overseen the initial accreditation of the Simulation Center by the American College of Surgeons/Accredited Educational Institutes, as well as the reaccreditation in 2015. Dr. Huffstutter is an Assistance Professor of Surgery and adjunct faculty for the Department of Mechanical and Biomedical Engineering. He has served for the past six years as a surveyor for the ACS/AEI and currently serves on the Committee for Coaching of the ACS. Dr. Huffstutter is a Master Trainer for TeamSTEPPS. Dr. Benner received her EdD in special education from Teachers College, Columbia University in 1979. Since 1980 she has been on the faculty at The University of Tennessee, where she is currently the associate dean in the College of Education, Health, and Human Sciences and director of the Graduate School of Education. Dr. Benner has published five books, including Promising Practices for Elementary Teachers: Make No Excuses, Special Education Issues within the Context of American Society, and Assessment of Young Children with Special Needs. Current activities include service as co-director of the VolsTeach STEM teacher preparation program and principal investigator for the TEACH/Here Noyce Scholarship program. 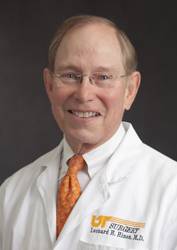 Dr. Neutens is the Dean of the University of Tennessee College of Medicine in Knoxville, Graduate School of Medicine (GSM) and Professor of Obstetrics and Gynecology. He has been very active at both the medical student and resident levels of education particularly through the Association of Professors of Gynecology and Obstetrics and the New Program Director's School sponsored by the Council on Resident Education in Obstetrics and Gynecology. He also served on the Steering Committee for the Group on Faculty Affairs and AAMC. In his position he has direct responsibility for the Simulation Center not only for the College of Medicine but also for the College of Pharmacy and College of Health Professions on the Knoxville campus. 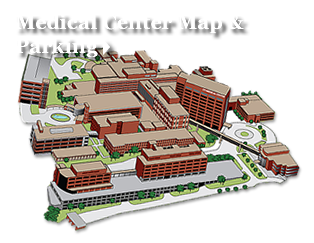 The GSM is on the University of Tennessee Medical Center Campus. Dr. Rider serves as the Dean of the College of Education, Health, and Human Sciences at the University of Tennessee, Knoxville. Prior to coming to Knoxville, he served as Dean of the College of Education at Butler University and Professor and Associate Dean at Florida State University. In addition to having expertise in higher education administration, Dr. Rider has conducted research on physical activity and wellness for special populations including individuals with disabilities and older adults. Currently, Dr. Rider's teaching and research interests focus on leadership in higher education. 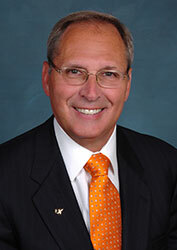 Dr. Goldman is the immediate past Chairman of the Department of Surgery at the University of Tennessee. He led the Department from July 1998 until October 2015. He has also served as Program Director of the General Surgery Residency Program and the vascular surgery Fellowship program. He is currently Assistant Dean for Research at the University of Tennessee Graduate School of Medicine. He was an early member of the ASE, an active member of the APDS, President of the SAVS, and founding member of the International Society for Heart Transplantation. He helped develop the UT Center for Advanced Medical Simulation and serves on the Accreditation Committee for Educational Institutes of the ACS. He helped develop the criteria for accreditation of Fellowships in simulation-based education and chairs the committee that determines accreditation for the ACS. Dr. Goldman has received the Department of Surgery Faculty Teaching Award and the Spirit of Graduate School of Medicine Award for his dedication to teaching. Dr. Rowland is the first Associate Dean for Faculty Development at the University of Tennessee. She evaluates faculty in clinical settings and has focused her research on physician-patient satisfaction, oral examinations and interviewing skills. In addition, she identifies behaviors that may lead to risk management involvement. She is the lead author on the first book for the development of Communication & Professionalism Competencies for Surgeons. A nationally recognized communications expert and education scientist, Dr. Rowland is director of the national general surgery certifying examination preparation and qualifying examination courses. Dr. Rowland assists clinical faculty and residents improve their performance in a variety of clinical settings. She is known for her remediation techniques to identify specific variables that result in poor outcomes or negative effects for physicians and designing successful treatment plans that can be incorporated into a clinic setting and monitored over time. 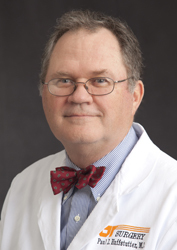 Dr. Nelson is a Professor of Surgery at The University of Tennessee and served as Acting Chairman of the Department of Surgery and General Surgery Residency Program Director at the University of Tennessee Medical Center in Knoxville from 1982 to 1983 and again from 1992 to 1995. He is currently the Surgical Simulation Director at UTCAMS. Awards include the Housestaff Association Education Award 1982-1983, the Department of Surgery Faculty Teaching Award in 1990 & 2007, the Graduate School of Medicine Excellence in Teaching Award in 2007 and the Spirit of the Graduate School of Medicine Award in 2009. He has served as course director and/or faculty at numerous laparoscopic training courses locally, regionally and internationally. Ms. Klar is currently the Administrative Director of the University of Tennessee Center for Advanced Medical Simulation (UTCAMS) and has been in that role since the center was established 8 years ago. Prior to this position, she was the Clerkship Education Coordinator, Clinical Trials Coordinator, and Pediatric Surgery Nurse Specialist for the Department of Surgery at the University of Tennessee Medical Center. Before coming to UT Medical Center, she practiced pediatric critical care and general surgery nursing in Kentucky, Florida, and Tennessee. In addition to maintaining and coordinating accreditation reports and activities for the AEI and daily Administrative duties for UTCAMS, current special projects for Ms. Klar include UTCAMS activity database development, coordinating new research activities, expanding the standardized patient program, and assisting with development of the Simulation Fellowship program.